In business there is a descriptive often used called “The Art of Making the Deal”.Moist st people would agree that they are not particularly artistic. But there is an art to making deals and forging partnerships. The qualities one has in of themselves to make these things happen is all the art you really need. In this context the artist is creating something (not with their hands) with their persuasive personality, and their ability to be of service.The deal maker has something of value to offer the customer. 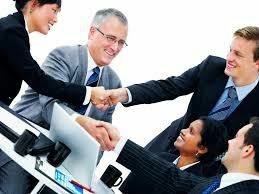 The Art of the Deal is then in fact the ability of the salesperson to paint the customer a picture that entices them to want to use their services. What pictures have you painted lately? Remember.. give more service than is required and you will be the recipient of tenfold!